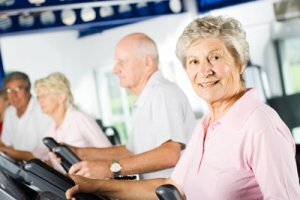 The Exercise Referral Scheme is run by Blaby District Council in partnership with East Leicestershire & Rutland CCG, Leicestershire County Council, Leicester-Shire & Rutland Sport, GP Practices and other Health Care Professionals. Activity options include the gym, free health walks and community exercise classes and are based at different locations/times across the district for ease of access. The Heart Smart Scheme runs alongside the Exercise Referral Scheme. It is a 16-week Phase IV Cardiac rehabilitation scheme run by Blaby District Council in partnership with Leicestershire Partnership NHS Trust hospitals and local GP surgeries.